Managing our thoughts is the only thing we truly have control over, and our thoughts control our results. Managing ourselves creates a reciprocal response in others in any group emotional situation. We, as leaders, as humans, as professionals, are primarily people of influence. Just as the musical conductor influences the performance, the leader inspires and motivates the team in sometimes very subtle ways. What we are holding in our innermost thoughts comes out in ways that we least expect. People feel what we are thinking, even when we attempt to hide our thoughts – fears, doubts, insecurities, angers, etc. Our presence is impacted by our inner voice. 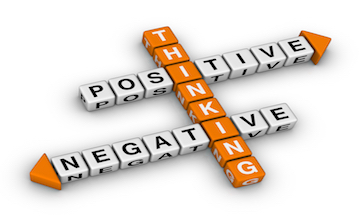 Negative scripts bring negative results. Thinking about debt, debt, debt, gives validity and energy to debt. Thinking about prosperity opens doors. The Law of Attraction, defined by Napoleon Hill, is just that. We attract what we are, as stated by James Allen as well. Managing ourselves is the core of successful leadership. This is easy to write about and talk about, however it’s not so easy to accomplish. Another discovery made by Hill, while he was interviewing the most successful business people of his time, was that the mind cannot hold a negative and positive thought at the same time. These successful people had an image of what they wanted to accomplish and used that image to replace doubt or fear. It obviously worked. This is not denial. It’s important to pay attention to the market and determine if there are changes needed. That’s effective leadership. Changing at the first sign of a problem is not effective. Learning the difference is key. The Law of Attraction is not about greed, as presented in the popular video, “The Secret.” It’s about hard work and intentionality. It’s about giving value and attracting the same. It’s ultimately about influence and integrity. How can a leader influence others when not being able manage self?